& I'll be in touch when an opening becomes available. I would be delighted to help you keep your cat(s) happy and healthy. Whether you have a general enquiry about my services or wish to register as a new client I would be happy to assist. ​Well Cat Visits are the core of the service that I offer. These checkups aim to keep otherwise healthy cats happy and well. This is achieved through regular 6 monthly general health checkups which always include helpful practical advice on the best type of preventative care for your individual cat. Depending on the level of urgency and my case load/availability, I may also be able to attend for Unwell Cat Visits (please refer to the status box just below to see whether I am in a position to offer this service to new patients). If I am accepting registrations, then please ​use my contact form below to provide a brief outline of your cat's current concern and I will advise as to whether this is suitable for a home visit or not. 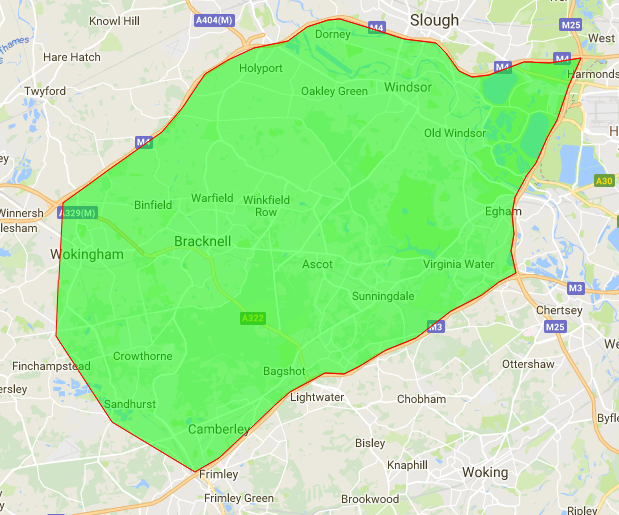 ​I deal with new client enquiries by email within opening hours (weekdays 9am to 5pm) so for this reason it is not appropriate to use this contact form for enquiries that are likely to need a reply outside of these hours. If your cat's situation is more urgent then please contact your usual vet. Could your query be more urgent than you think it is? emergency if left for long enough! 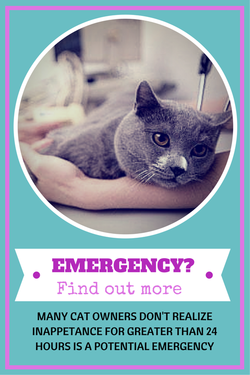 There are many conditions that may not appear to be an emergency but that do require URGENT veterinary attention. Many owners wrongly believe that unless their cat is collapsed, gasping or has obvious trauma like a broken leg or blood loss, they do not need urgent attention. The truth is that many of today's emergencies are last week's less urgent problems - too often owners have neglected to notice their cat is unwell in the first place or they've simply been hoping it will sort itself out. Never is this more relevant than with older cats that have had a gradual deterioration in health over many months to years. Sometimes they suddenly reach a tipping point. Please do take the time to become familiar with the level of service that I provide. As an exclusively home visiting practice, some things work differently from a traditional static vet practice. I think you'll agree though that the differences enhance the veterinary experience for you and your cat(s) but never the less it helps to understand how things work from the outset. It also really helps cut down on the amount of time I spend in front of a computer answering the same old questions, so I have more time to spend with the cats on my books, and of course their humans! So to make sure that you know what to expect from day one and into the future, I have provided lots of helpful info about The Cat Vet Home Visiting Clinic on my website. On the FAQ page, you'll find everything from how the clinic works, what to do in an emergency and all the boring bits like my T&Cs, my policies on payments, repeat prescriptions etc. The nature of mobile veterinary work means that I am not always free to check emails and there will inevitably be times when I will be unavailable to take your phone call too. My aim is to deal with general enquiries from new clients within 2-3 working days - provided I am not on annual leave. If you have not received a reply during this time, please contact me by phone in case the email has gone astray. The contact form is designed for non-urgent general queries about services and appointments only. I am unable to engage in email conversations regarding medical advice for cats that are not registered as being under my care. Similarly, for urgent enquiries, please follow the protocol on my Emergencies page or contact your usual/local vet. Looking for reliable free cat vet advice? ​If you are after free advice about cat health and welfare then there is plenty of information on my website, Just hover over the Expert Advice tab on the top menu bar of my webpage. My up and coming You Tube channel is a work in progress so bear with me, but it will aim to provide helpful and practical videos that combine my veterinary knowledge & experience with my insight as a cat carer myself. If you hit the big red subscribe button you should get updates as any new videos are added. Please note that by completing this contact form, you agree that you have familiarised yourself with the sort of service on offer, details of which can be found on the FAQ page. This contact form is designed for non-urgent general enquiries from cat owners considering registering with the practice. For clarification this includes questions about services available, callout costs and appointment availability only. It is not designed as a means of seeking medical advice for cats that are not registered as being under my care. For any urgent enquiries, please contact your usual/local vet. Please tick to agree that you understand before proceeding. ** If you are in any doubt about whether your cat is well enough to not require veterinary care within the next 7-10 days please take a look at this link. ​Is your enquiry about the possibility of having a home euthanasia? I completely understand that such a decision is not an easy one to make on your own. This time can be very sad and confusing but rest assured that I can help counsel you through all the options available. Together we can find a way to try and make the process as peaceful as possible for you and your cat. In some cats, it may be that it is not quite the right time yet, so it may be that we need to look at palliative care options to make their remaining time with you as comfortable as possible. I believe that coming to a decision as important as this warrants a thorough discussion. No - my query is not about euthanasia Yes - I confirm that by sending my euthanasia enquiry I am requesting a phone appointment to discuss my cat's individual circumstances (£40).